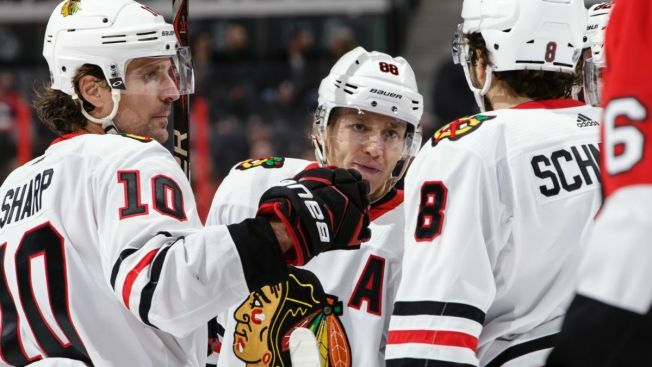 Patrick Kane and the Chicago Blackhawks had all their firepower on full display Tuesday night. Nick Schmaltz and Jonathan Toews each scored two goals and Kane had a goal and four assists as Chicago cruised to an 8-2 victory over the Ottawa Senators. 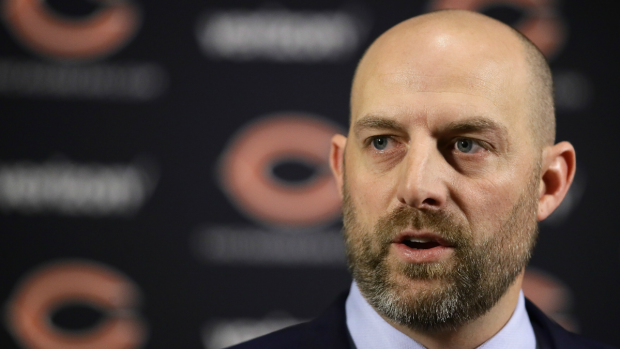 Packers Reportedly Name Pettine D.C.
Richard Panik, Patrick Sharp and Jan Rutta also scored for the Blackhawks, while Anton Forsberg made 25 saves. Kane had five points for the first time in his career. "I think one of the things we really haven't really had the fortune of this year is to have a hot power play," Kane said. "You saw that tonight. We were kind of making easy plays. I don't think it was anything special throughout the game. Just making the right play out there and finishing off some plays." Mark Stone and Derick Brassard scored for the Senators. Craig Anderson allowed four goals on 26 shots before giving way to Mike Condon, who also gave up four goals on 17 shots. The loss snapped Ottawa's two-game winning streak and was the team's most lopsided loss of the season. "I think we started the game the way that we wanted to and then in the second we kind of give them a little too much," Senators captain Erik Karlsson said. "And then going in the third down 6-2 it's going to be hard, and especially when they're having a night on their PP (power play) and they score another two." The Blackhawks scored five times in the second period to break open the game and finished 4 for 6 on the power play. Ottawa has been outscored 61-34 in the second this season. Toews scored his second of the game at 3:24 of the third period to extend the lead to 7-2 before Kane chipped in with his team-leading 18th on the power play. Both Ottawa goaltenders have struggled all season, but veteran Dion Phaneuf said it's unfair to put the blame on them. "I don't think in any circumstance that we need more saves. It's on us in front of our goaltenders to do a better job," Phaneuf said. "We made mistakes. We made mistakes in key areas and our goaltenders have been solid." The second period was once again troubling as Anderson gave up three goals on four shots in a span of 4:39. Sharp gave Chicago a 2-0 lead at the five-minute mark with a wrist shot from the top of the circle. Schmaltz made it 3-0 with his first power-play goal of the game, beating Anderson five-hole and, 1:38 later, the Blackhawks took a 4-0 lead as Toews scored on a rebound to end Anderson's night. The Senators managed to cut the lead in half when Stone, with his third in as many games, beat Forsberg short side. Brassard then made it 4-2 by driving to the net and tipping Stone's shot in off his chest. But two late power-play goals allowed Chicago to regain its four-goal advantage. Schmaltz scored his second of the game, picking up Sharp's rebound to beat Condon high and Rutta made it 6-2 with a one-timer. Combined, Anderson and Condon gave up five goals on nine shots in the second period. Bobby Ryan added to the misery by leaving the game favoring his hand and didn't return for the third. The Senators looked good in the first period, but were still outshot 17-8 and gave up the first goal as Panik picked up the puck near the slot and threw it at the net to beat Anderson through traffic. "We've talked about it, you guys have talked about it and we have to find a way in our room to have better second periods," Phaneuf said. "I really cannot be any more honest with you than admitting that we have to find a way to be better in the second, more consistent and play to our capabilities."